The 2010 Cover Contest is on! Here. Every year I go there and sigh over all the beautiful and excellent covers. Alternate Reality is always breathtaking. I get envious. The paranormal folks get the best covers. Why? Why? Why? Then I head straight for the Worst Covers of the Year. Because there is great snark involved. I sympathize with the authors, but I can't help myself. Anyhow. 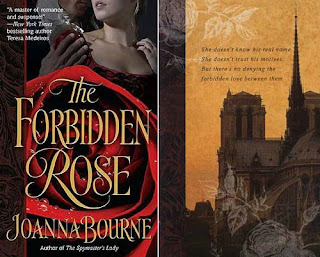 Forbidden Rose is in the 'Two Cover' category which delights me because I think that is a beautiful cover. I love that stepback cover on TSL. I do not know exactly which artist at Lott Reps did the Forbidden Rose cover. Alan Ayers, here, did the trade Spymaster's Lady cover. 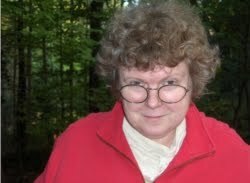 Judy York, here, did the mass market Spymaster's Lady. I hadn't known about this before! Just voted. It was fun seeing all the different covers. I nearly spit out my tea on the Worst cover category. Some of them are lewd, some are ugly and some are just plain weird. I hope that never happens to me. You don't know this contest? Oh. Oh. Go back and look at former years. It is a Great Treat. I hate to say it but all the worst cover winners look like self published books. Note to self - if you self-publish, Get. A. Real. Artist. I'm not a fan of the wedding related covers, actually. I like it better when cover images seem timeless, not related to one moment in a lifetime. "Big Spankable Asses" (2007) ???!!!??? I'm not in favor of 'wedding dresses' in general. But this recent triology by Nora Roberts has just beautiful covers -- and those are three wedding dresses. I think it depends entirely on the cover. Anne Gracie's latest book had the heroine in her bridal gown on the cover and it was just beautiful. Other covers have just been so-so. I really enjoyed the cover contest this year because I buy e-books and have just realized I was cheated out of the extra picture on the "two cover" books in this format. It was nice to see what I was missing! Oh yes. Accidental Bride. Beautiful cover. Though that's another of the 'scratch my head and wonder why' titles. Historically speaking, wedding dresses weren't necessarily white in 1800. I think they only started being customary after Queen Victoria was married in a white dress. But that's just off the top of my head . .
Jo Bourne said "Historically speaking, wedding dresses weren't necessarily white in 1800. I think they only started being customary after Queen Victoria was married in a white dress." Yes, I think you are exactly right. 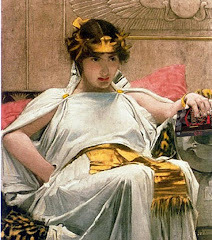 In the case of the book cover I am sure it was an instance of "give the people what they expect" for a bridal gown. Most people browsing books probably don't know when the tradition of a white wedding gown began and would be confused or dismayed if the "Accidental Bride" didn't look like their idea of a bride. Talking C16 to C18 -- and never having done any research on this -- I think green was considered unlucky. because green was the fairies' colour. Someday, if I have a chance, I'll do some research on this. Not now, though, when everyone is still hey-go-mad about weddings. I had never seen this contest before. What fun! I voted in most categories except the Worst because I honestly could not pick just one. The one I kept leaning towards, though, was Coming Clean, with the couple stuffed into front-loading washer. Between that image and the title...cough. Did you go back and look at the Worst Cover winners for other years? I have loved this contest for so long. I think this used to be part of AAR. Not sure whether it still is. I get so worried about the folks on the Worst Covers. And yes . . . especially the ones trapped in the spin cycle. THis blows my mind because Judy York is married to one of my art professors from college and I've met her and when we went to their house for a photo shoot for class, we got to meet her and she went into a little bit how she works. I have corresponded with her briefly about the cover. She IS cool. In the Middle Ages, I believe green was considered the color of love. Funny how the fads change. P.S. How do I find covers from previous contests? I looked all over that site and couldn't find a link. Well worth browsing through if you have some spare time. The 'worst' covers are so funny to read, and the best covers -- some of them are just lovely.